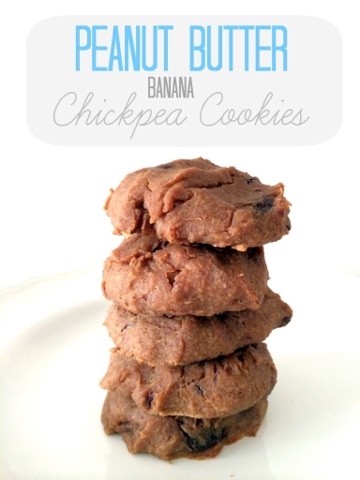 Fit Fluential Mom: A Healthy, Flourless Hummus Based Cookie! Healthy cookies? Yup they are! And they're hummus based! The other good thing is that you can call the batter hummus and eat it all before baking lol! They’re also totally flourless and made with chickpeas soooooo you’re basically eating beans AKA they’re basically health food like I said above haha. Make sure to rinse the chickpeas well so they don't taste beany. Shake off the excess water before dumping them into a large food processor. Add in the rest of the ingredients (except chocolate chips). Process for a full two minutes, or until batter is very smooth. You may need to scrape down the sides. Stir in chocolate chips.